The leader of the Russian Communist Party has told reporters that they intend to unite all “patriotic forces” under the program of “leftist-centrist turn” to counter the pro-business anti-crisis initiatives of the ruling United Russia party. He also appealed to the authority of President Vladimir Putin, who has urged his allies to do everything to ensure that the parliamentary elections are honest and that people trust their results. Zyuganov noted in his media comments that the global economic crisis first hit Russia back in 2008, but the country’s authorities “instead of swimming towards the surface only paddled a bit and last year sank to a new depth, beating everyone in the world by the fall of major indices.” He added that his party had a surefire plan of economic recovery, similar to one introduced by the Russian government headed by Yevgeniy Primakov after Russia’s 1998 default on short-term loans and the subsequent collapse of the economy. The plan introduced in December 1998 included broad social support to boost the demand combined with state measures aimed against price hikes, attracting foreign investment, restructuring of the national banking system and a tougher approach to taxation. Zyuganov also told reporters that in early February his party planned to hold an economic forum to adopt an anti-crisis program that would be presented ahead of the elections to Russia’s lower house of parliament, the State Duma. The suggested that measures include steps to increase budget revenues, such as a progressive tax scale and a state monopoly on alcohol and tobacco trade. “United Russia must report on the result of their leadership and then present their own program and start a dialogue. The victor should be decided by the voters,” the Communist leader said. 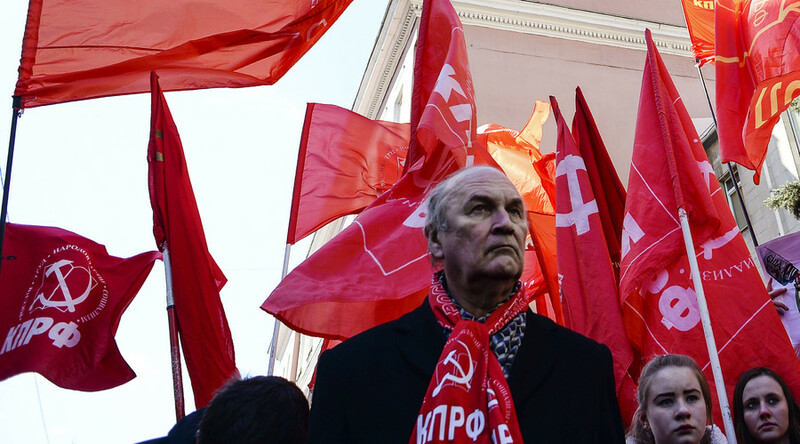 Zyuganov’s speech was a reply to the major convention held by United Russia over the weekend. During the convention, party leader Dmitry Medvedev ordered urgent development of the program to be used at the forthcoming parliamentary elections, marking a shift from social-oriented policies of the prosperity period to pro-business steps and measures that would help to maintain social peace in times of economic crisis. Medvedev also warned his party comrades about the threat from the leftists, who would attack any pro-business initiatives and use populist rhetoric that they had already perfected. The countermeasures suggested in Medvedev’s speech included counterattacks on the Communist Party, detailing its own problems and laying out an “alternative agenda” that would counter leftist ideas.